The triangular plot is situated on a crossroads amidst old-growth trees and is accessed on several levels. The clients wanted to build a cosy home with a communicative interior while preserving the trees. Garden, garage and terrace were all of secondary importance. The outer contour was to be oriented on the oblique-angled borders of the building site and the existing trees, with a pitched roof. 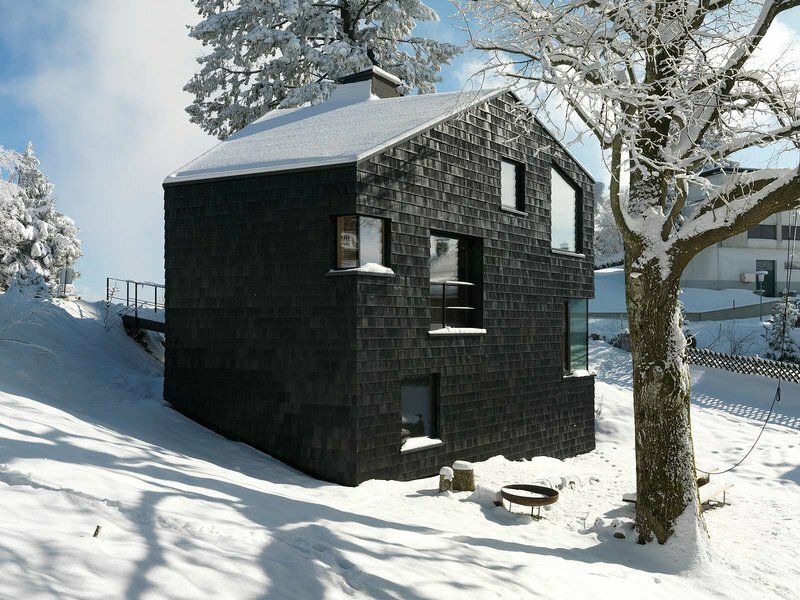 The black shingled facade is modelled on that of the Gasthaus Schwedenschanze inn nearby. 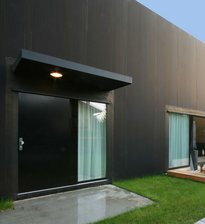 All the details of the external shell are likewise in black, including the window frames, railings and roof edges. The building was planned with split levels each taking up half the floor area. 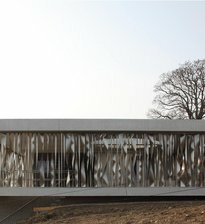 This was in response to the sloping site but, even more importantly, it creates a continuous sequence of rooms inside. The overall goal of the design was to achieve the greatest possible spaciousness and variety within a relatively compact volume.